Planning a dinner party in advance (even just mentally) makes the end of your week as relaxing as it should be. Carve out this warm weather meal ahead and all you'll have to worry about is where to market and whom to invite. 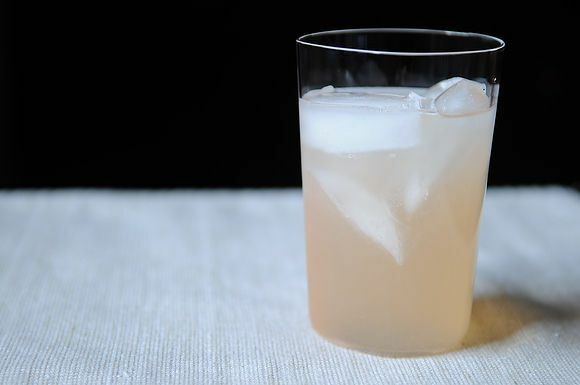 You can easily substitute lime or grapefruit if you can't find yuzu (just adjust the amount of simple syrup to taste). The perfect spring salad. Dress this last so the greens stay lively. Serve these lookers with some good bread for soaking up that sauce. • Make the basil-infused simple syrup for the cocktails and store it in the fridge. 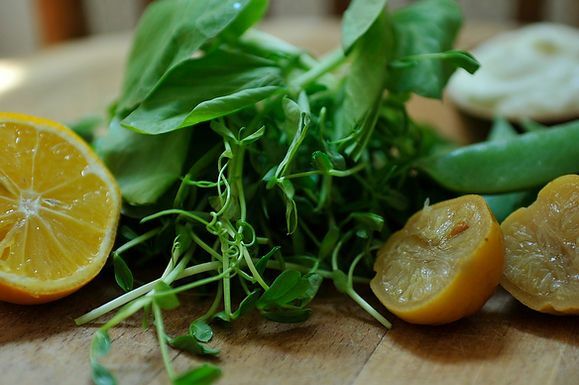 • Throw together the crème fraiche, goat cheese and preserved lemon mixture for the salad. It can be covered and refrigerated for up to a week, so get it out of the way early. • If you are strong enough to resist, make the Rhubarb Curd Shortbread a day ahead. Then all you have to do on party day is slice it, sprinkle some powdered sugar, and serve. • To the market (and fishmonger)! • Get those scallops on a plate and put them in the fridge to dry while you prep the rest of meal. Toast breadcrumbs and sizzle pancetta. Make your spring onion & tarragon cream -- it holds and re-warms well. • Mix up those cocktails and pour yourself one. All that's left is sauteing asparagus, searing scallops, and dressing salad! With a little labor knocked out in advance, you will, no doubt, enjoy your own dinner. It shouldn't be hard to be festive -- you just need a plan!